B U B B L E G A R M: Skin care ramble..
Never have a hot shower after you torture your eyebrows. Try using baby powder on the area before you start threading. Use a toner, ice or aloe vera gel to calm your skin. Lesson learned, hopefully the next time I shouldn't have that problem. Anyway, on a whim, whilst at Liberty's I decided to purchase the Kiehl's 'cucumber toner', as I read in a magazine that Diane Kruger uses it to soothe her sensitive skin. What do I think so far? It's 'nice', however for an alcohol free toner it's extremely astringent, it hasn't broken me out or dried my skin out, however it's only been about 1 week. I apply 2-3 drops every night on it's own, I love how it feels on my skin and it feels and looks like my skin is more radiant and smooth. If it turns out to be a miraculous product I will do a more in depth review. After my last skincare post where I mentioned I was a skincare nerd, I was asked if I wanted to have a read of Liz Earle's 'Skin Secrets' book... I accepted and wanted to share my thoughts with you as I really enjoyed it. 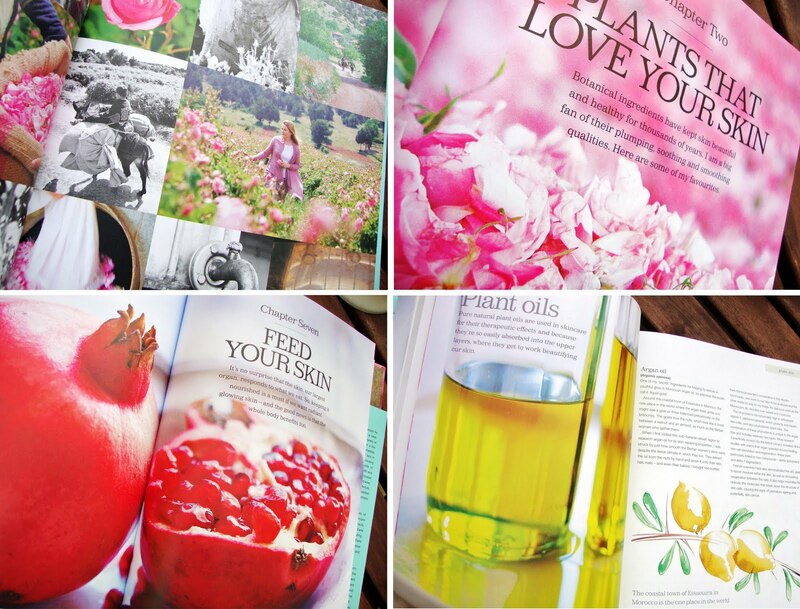 The book covers a wide array of subjects ranging from identifying your skin type, plant oils & essential oils that are beneficial to the skin, caring for your skin, what makeup to wear for your age, solutions for skin problems, what to eat for healthy skin, fitness, the importance of relaxing and a whole lot more. I love that this book isn't focused on Liz Earle's skin care brand and selling her products, and instead focuses on actually guiding us to help us with our skin. I loved reading it and would recommend it to anyone who wants to really improve the way they treat their skin. What new things have you been doing with your skin lately? FYI: My lack of posts recently is due to the holy month of Ramadan, fasting is going well - I have been sticking to all things healthy with the odd cheat :) I am going to try my best to do some hijab looks as I have been going to the mosque and I think it will be interesting for you to see how I wear it. Disclaimer: I was sent the 'Skin Secrets' book for consideration for review, I did not get paid to blog about it and I am not affiliated with the brand. Muhsine do you know how to thread? I've tried to learn it but sooo hard. Please do a tutorial on it PLEASE PLEASE! i haven't changed my simple cleanse + tone + moisturize regimen in around 3 months because my skin became MEGA sensitive and stayed that way for like, 7 months. i feel like my skin's becoming a bit "tougher" again, but i don't want to risk another skin meltdown. that being said, there are a few serums i want to introduce to my routine, the midnight recovery concentrate serum included. can't wait to read a more in depth review of that! hi. i have some quality rosehip oil for my skin, but i dont really know how to use it. does your book say anything about this? i will really appreciate! thanks. I'm putting some drops of cold lemon on my sun marks every other night as I heard it's good for it but they say it will take time to see any change. Do they say anything about managing uneven skin tone in that book? Do you know any tips? I'm desperate for a solution. Good for you for keeping up with the Ramadan fasting..I imagine it's really hard. I missed your blog posts so much!! I'm dying to try the Midnight Recovery, but it won't be sold in Spain until September. Could you please list the ingredients? I don't seem to find them anywhere!! Good choice on the Midnight Recovery Concentrate. I have been using it every day that I am more dry and I love it. Smells really nice as well! I recently did a review on the Midnight Recovery Concentrate - I like it a lot, but if you have more oily skin, it's not for every day use. I also tried a new Kiehl's toner and I switched to a Clinique moisturizer, although I'm going back to my Estée Lauder one because that one was much better for my skin. Would love to see your hijab looks!! Very long time reader, first time commentor! @dekerotti I use rosehip seed oil by neals yard, I would recommend using it as a night time treatment maybe 3X a week, massage it into your skin on its own. @Mercedes lemon juice is great, I posted about it before. Rosehip seed oil is great for fading scars, lavander is great for balancing your skin. @meganelena It's fantastic, smells amazing too! @Perfectly Unordinary Oh great, I'll check it out, my skin is normal/combo it's been ok so far, but I think it works well with the toner for now. I used to get those spots when I threaded on my face, but I used some of Liz Earle's Spot On to prevent this and it works very well. I was eyeing that Kiehl's serum in Selfridges but I have so many night products to use first. I have a hard time threading myself so I've gota coax my mum to do it for me all the time lol. Baby powder always works well before threading. We would love to see the hijab looks Mushine. Have a lovely Ramadan. Houda: LOOOL I don't think I have ever met another Houda. Plenty of Hoda's or Huda's, but never Houda! Oh, and I always thread too. Its so easy and quick! I changed all my routine and buy Kiehl's too, but the Açai line, it's fabulous. I love it. I had a terrible rash in July, I learned that I'm allergic to propylene glycol. And this stuff is really natural and without it. Muhsine! Ramadan Mubarak! I hope you are having an amazing Ramadan so far! Im so excited to see your hijab looks! Im sure you look amazing in it! mashallah! I love the Cucumber Toner. I have oily skin but I have found this to be the best!